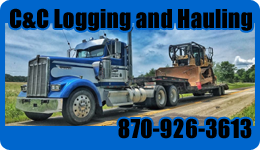 Around midnight, the Sharp County 911 Center received a call reporting a semi vs pedestrian accident north of Ravenden just past the Hwy 58 junction. Local fire departments were dispatched to the scene as well as ambulances including AET of Imboden, a medical helicopter was also deployed to the scene. Units arrived to find the victim deceased after being struck by the tractor trailer. 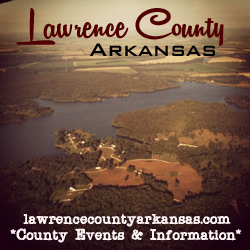 The victim was reportedly not carrying any identification, Sharp County Sheriff’s Office requested the assistance of the Lawrence County Sheriff’s Office to respond to the scene and be on the look out for any abandoned vehicles along the roadside. Three units from Lawrence County traveled to the scene. The victim was identified shortly after according to the Sharp County Sheriff’s Office. Dail’s Wrecker Service of Ravenden was called to the area to remove the semi truck, the driver was not harmed. According to a witness, the victim was walking in the middle of the road and was warned by a resident not to be in the highway just moments before the victim was struck. The witness then stated the truck tried to avoid the victim but was unable. The accident is being investigated by the Arkansas State Police, the victims name has not been released pending notification of the family. Breaking Information….according to Arkansas State Police, the pedestrian struck by the vehicle was David Dwayne Halfacre, age 43. ASP is reporting that Halfacre was walking in the center of the southbound lane. The crash report states the driver of the truck swerved and Halfacre stepped out in front of the truck. For more information on the Lawrence County Sheriff’s Office or AET Ambulance of Imboden, visit www.lawrencecountysheriffsoffice.com and www.aetambulance.com .